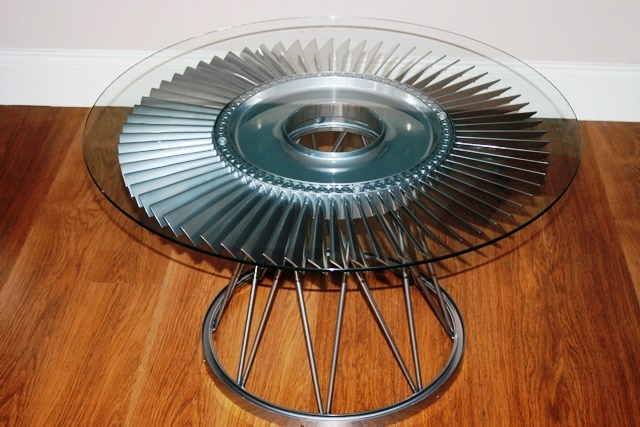 Rolls Royce has done all the hard work in making this stunning range of tables. 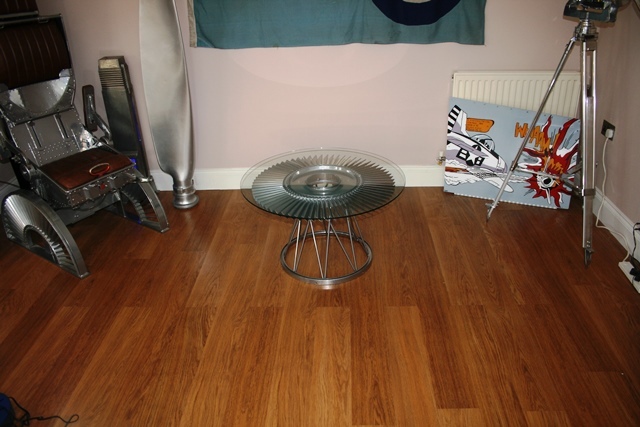 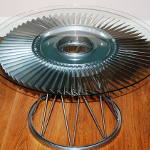 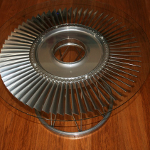 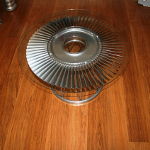 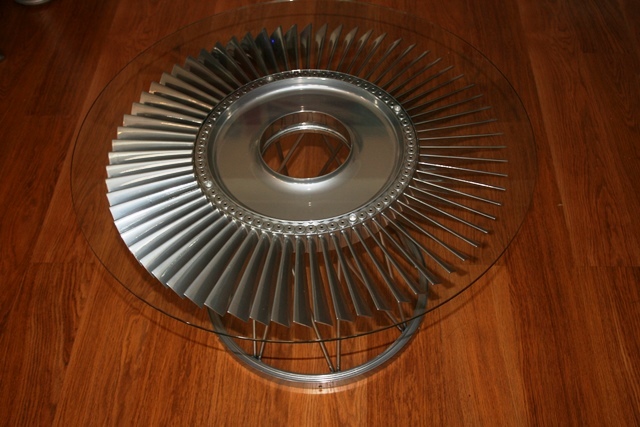 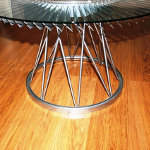 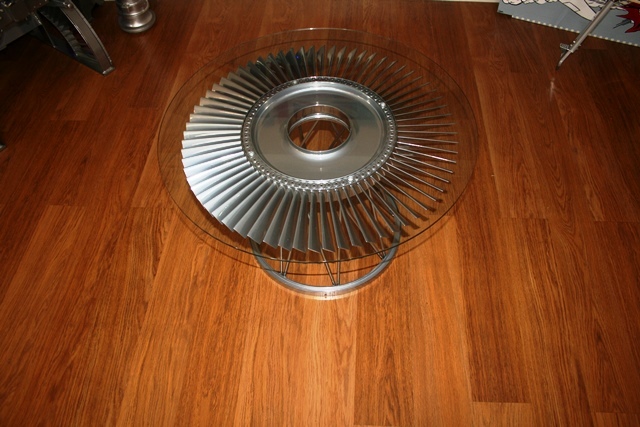 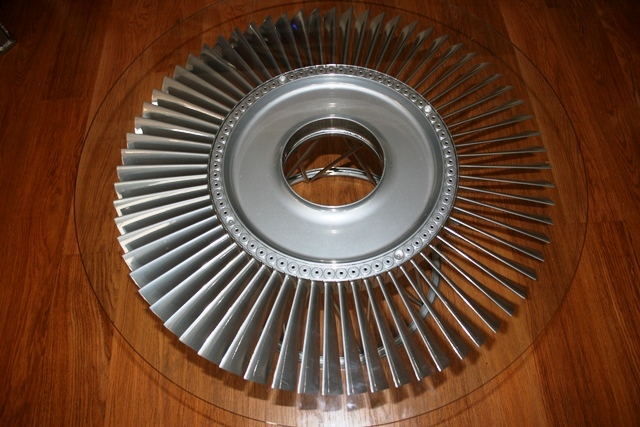 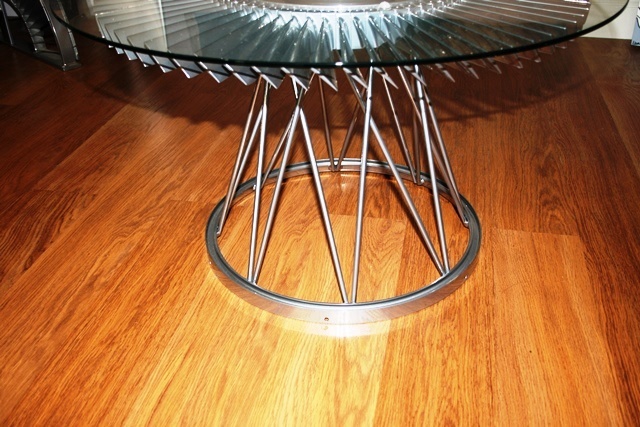 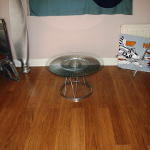 We have taken a Rolls Royce Avon Engine Fan blade section and made a one off stylish coffee table. 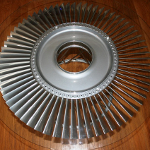 The Avon engine was fitted into the RAF Canberra Bomber and helped the Canberra become one of the most successful RAF planes of all time serving from1951until retirement in 2006.